The sea is often the backdrop for stories about jewels and treasure. 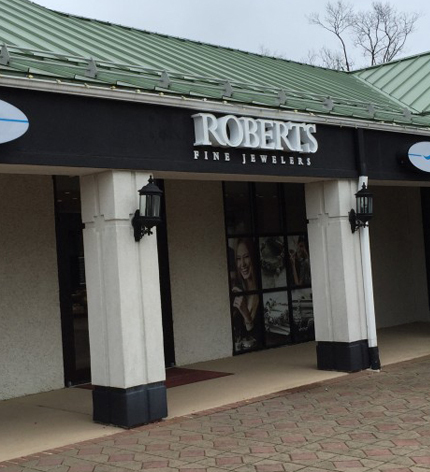 So it’s really no surprise that Roberts Fine Jewelers found a perfect home near the shores of the Atlantic Ocean. In the Summer of 2001 Bob Rovinsky, owner of Roberts Fine Jewelers, first opened the doors to his Northfield, New Jersey, shop – not far from the famous Atlantic City boardwalk. His store quickly became a destination for the residents and visitors who appreciated upscale, exquisite jewelry as much as they enjoyed the warm ocean breezes. Jewelry styles have changed over the years, but what hasn’t changed is our commitment to our customers. Every customer who walks through our doors is as important as our very first customer. We’re not in business to sell you jewelry. We get to know you, ask questions, discover your personality. Then we’ll connect you with the perfect, beautiful piece. That’s the difference between a jewelry store and a fine jeweler. Styles have come and gone, trends have flared and faded. We keep in step with latest designs from today’s most sought-after jewelry artists. But we focus on fine jewelry, not fads. We understand what makes a piece of jewelry or a watch timeless. We carry only the highest quality gems, settings, and finished pieces. And we only create the kind of jewelry we’re proud to put our name on. Please take a moment to enjoy our website. But when you have the chance, visit us in person. We’d love to get to know you.